Ack! 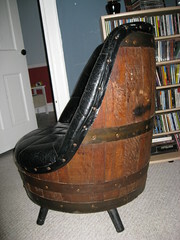 I'm sure someone has already called dibs on the barrell chair but if not, I love that chair! I need that chair! Ack!